Beata Martinez is our Patient Care Coordinator. She is in charge of scheduling patient appointments and answering any questions that you might have. Beata speaks 4 languages including: Slovak,Czech,Polish,Ukrainian. In her spare time, she enjoys spending time outdoors with her daughter, husband and family, reading, cooking and shopping. 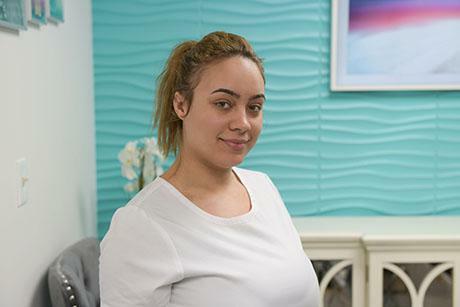 Kiara Vega is our Medical Assistant. She is the person who prepares our patients for their exam and takes care of their needs while in the treatment room. Kiara is a native Spanish speaker. In her spare time, she enjoys dedicating time to her son and family, shopping, traveling and visiting various attractions.